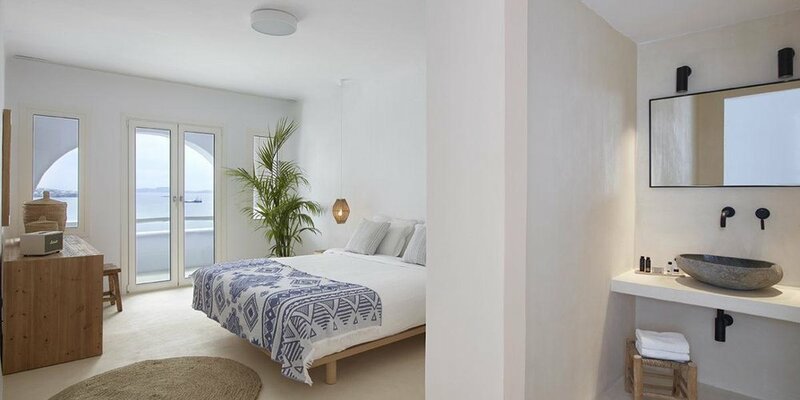 Rocabella is one of Mykonos finest resorts awarded with excellence for four consecutive times by TripAdvisor. A great essence of tranquility welcomes you from the very first moment you set foot on the resort. The warmth of the stuff and the simplicity of the design invite you to leave everything behind and just let yourself be. 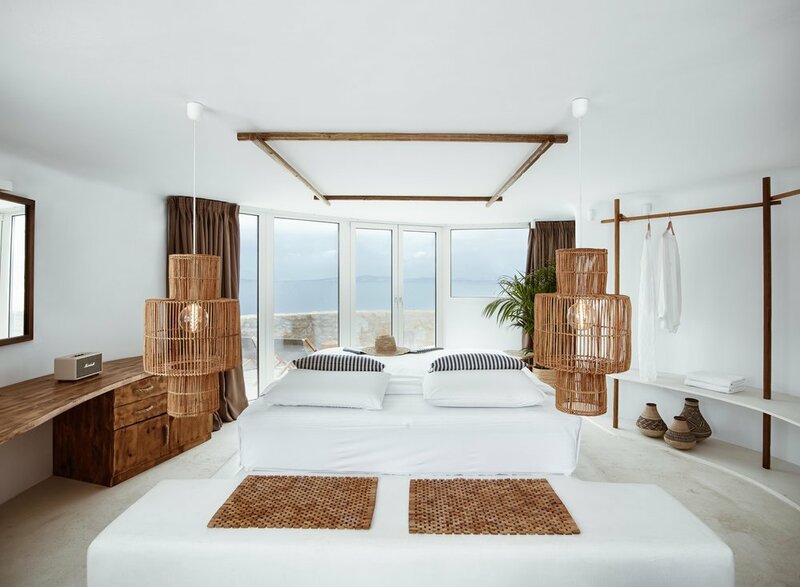 Inspired by the minimalism of Cycladic architecture, its smart rooms & suites are equipped with soft earthy tones, simple lines and natural materials. 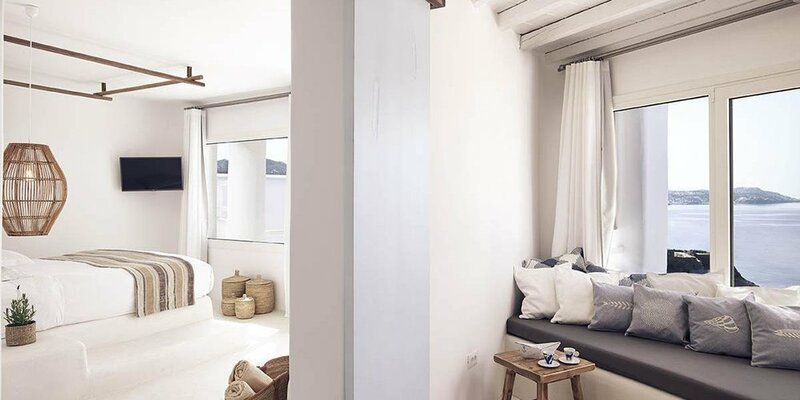 Each room has its own balcony offering an undisrupted view to the Aegean Sea or to the infinity pool. 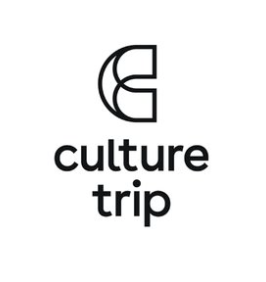 A feel-good all day restaurant, a fancy pool-bar and the awarded restaurant of ‘Reeza’ cover all different kind of tastes and appetites offering a holistic Greek culinary experience. The resort’s proximity to the sandy beach of Agios Stefanos and Chora make it an ideal location where one can enjoy both the serenity of a peaceful place and the island’s vibrancy. 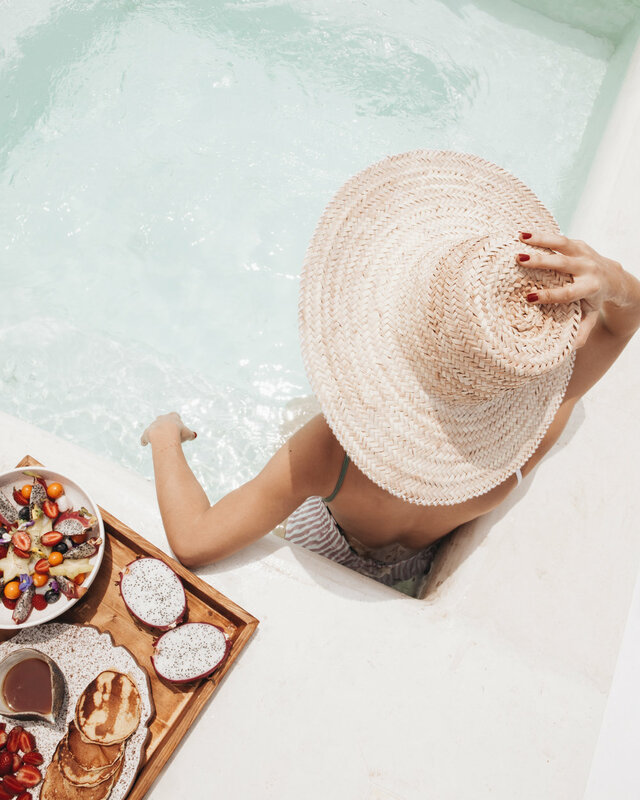 Fykiada Retreats have prepared a tailored schedule of wellness treats and workshops that by the end of your retreat you’ll know that you’ve discovered a personal hideaway in Mykonos. 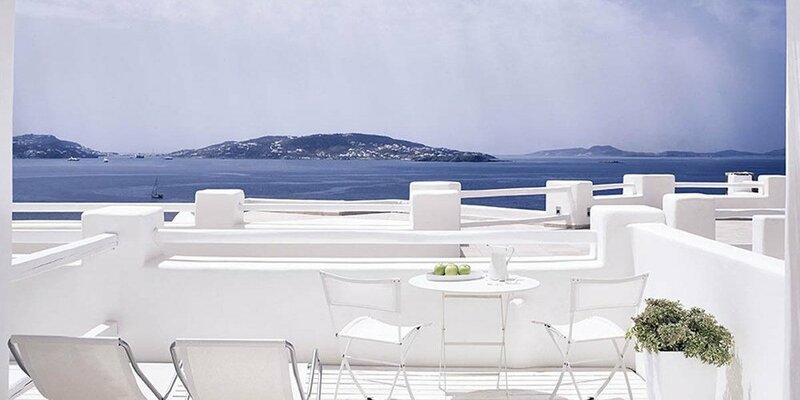 Overlooking the bright blue Aegean and the dazzling white all around you. The Myconian experience with minimal aesthetics and amazing views. Design, views, comfort and an outdoor spa bath for private relaxation. Simple lines and arty touches welcome you with a dream terrace. 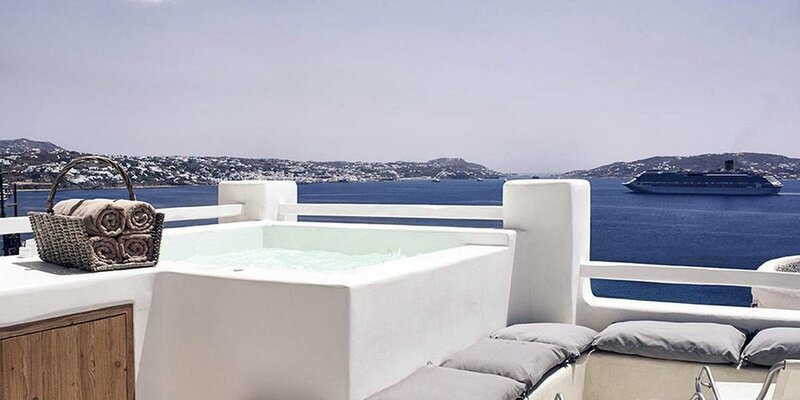 Panoramic dreamlike views of Mykonos by your private mini pool. The ultimate retreat for couples in search of secrecy and exclusivity. 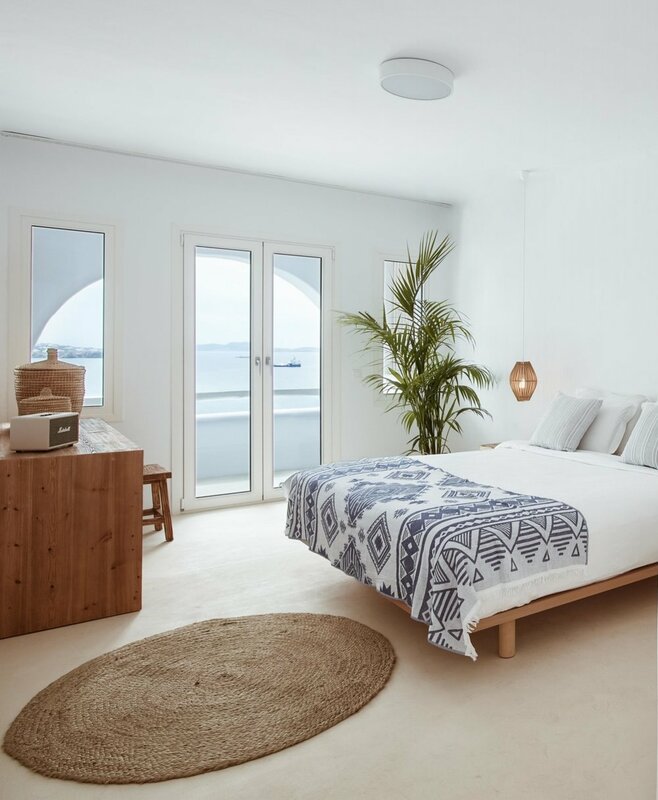 Spacious areas and a terrace compose the definition of a unique stay.